All New 2019 Audi Vehicles in Jacksonville FL, Pre-Order Now! Audi Jacksonville in Florida, serving Orange Park and St. Augustine, is pleased to inform you that new 2019 Audi vehicles are available for pre-order today. Our dealership can't wait to make your dreams of owning a new Audi sedan or SUV a reality, so schedule your appointment online now. We've got new 2019 Audi vehicles on the way, and you can customize yours to meet your every need. See which Audi vehicles are currently available for pre-order below, and visit us at 11401 Atlantic Blvd., Jacksonville, FL, to secure your new 2019 Audi today. Grab the wheel of a new 2019 Audi A6 to experience incredible performance and impeccable design. A confident exterior dares to stand out with dynamic LED lighting and a bold Singleframe® grille. A prominent stance commands the road with an aggressive attitude reinforced by the sound of your powerful Audi engine. Standard, Quattro® all-wheel-drive provides sturdy traction to help you tackle difficult driving situations with ease. Relax behind the wheel with cozy leather-trimmed seating and a host of entertainment options reserved for VIP drivers. New MMI® Touch technology makes it easy to control phone, navigation, and audio settings for a fully-connected ride. 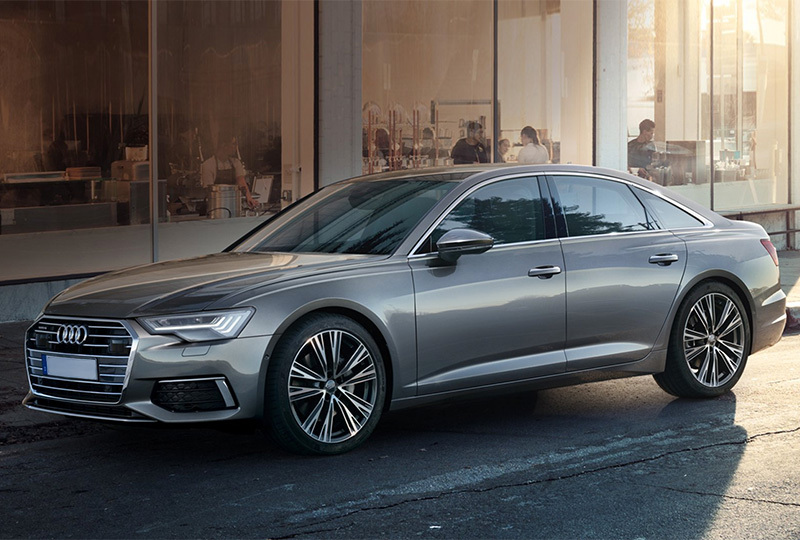 Find out more about the 2019 Audi A6, and don't forget to contact Audi Jacksonville about your pre-order today. Command the road with confidence in your new 2019 Audi A7 sedan. This luxury vehicle offers a unique driving experience where comfort and performance meet with incredible results. Capture attention with an athletic exterior that dazzles bystanders with a new front fascia and the prominent Singleframe® grille. Sit back and relax with a driver-oriented interior design that features advanced technology, such as the available Audi Virtual Cockpit and the standard MMI® Touch Controller. Treat your guests to the same level of comfort with indulgent rear seating and plenty of cabin volume for everyone to stretch out. 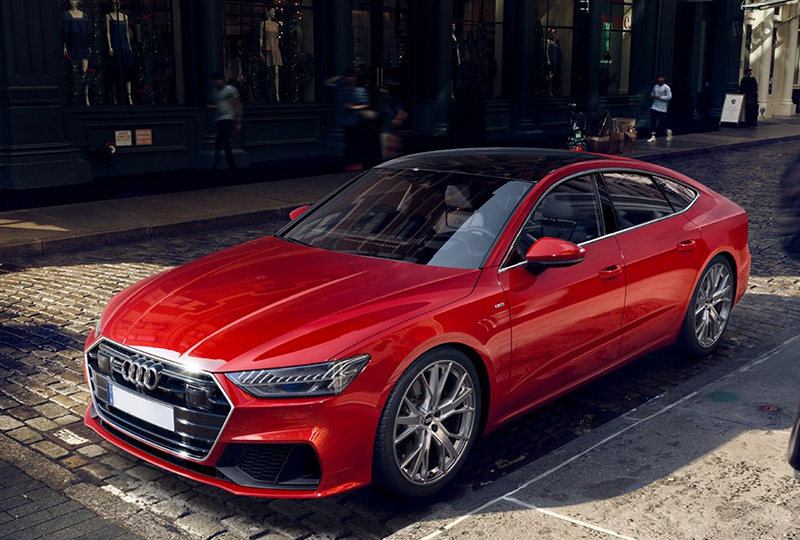 Find out more about what makes the 2019 Audi A7 the right vehicle for you, and place your pre-order today with Audi Jacksonville. The 2019 Audi Q8 is a luxury SUV reserved for families and friends who always travel together. Get the most out of every adventure with this spacious SUV that offers plenty of room for everyone to tag along. Whether you're carrying people or cargo, you'll find more than enough space for your needs. Leather-appointed seating keeps you comfortable behind the wheel, and intuitive technology is controlled with ease, thanks to the standard MMI® Touch Response system. A bold exterior design offers head-turning confidence for each drive, and the LED lighting ensures maximum visibility for traveling after dark. 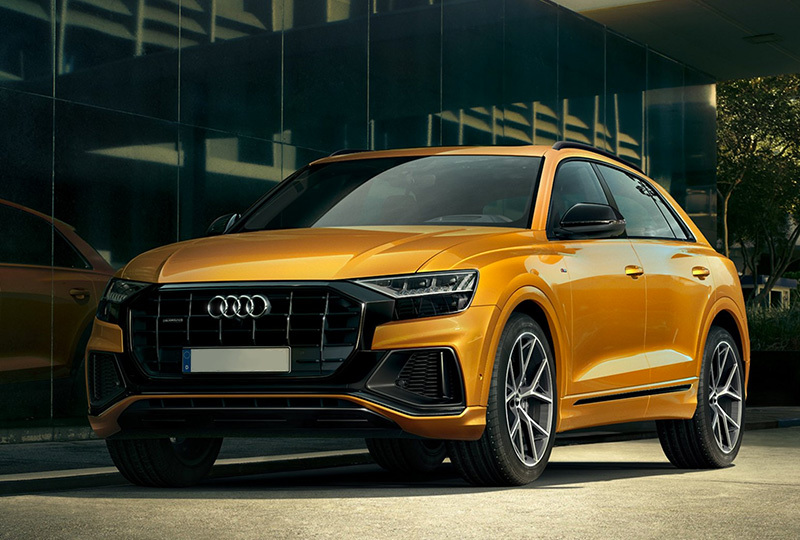 Contact Audi Jacksonville today to see more of what makes the 2019 Audi Q8 the ultimate SUV and to secure your pre-order. 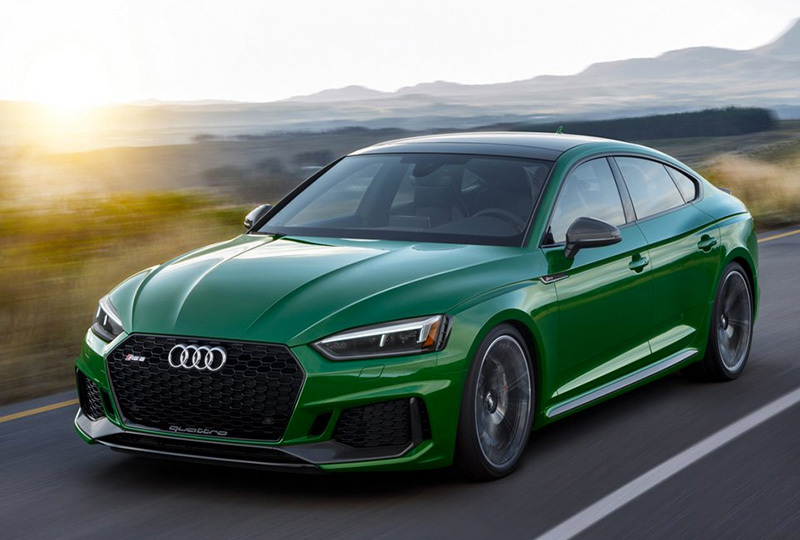 The 2019 Audi RS 5 Sportback is a unique performance sedan that offers incredible driving capabilities and luxurious comfort. A stunning exterior design captures attention with RS-specific elements, like the exclusive exhaust system with oval outlets and the fixed rear lip spoiler. The 2.9L TFSI® twin-turbo V6 engine supplies aggressive acceleration with 444 horsepower and 443 lb.-ft. of torque. Leather-appointed upholstery with diamond stitching and RS embossing makes you feel like a true VIP while intuitive technology like the MMI® Touch controller helps you maintain control of audio and smartphone settings. Explore more of what makes the 2019 Audi RS 5 Sportback so unique, and pre-order your trim level today at Audi Jacksonville. Increase your driving efficiency with a new 2019 Audi e-tron®. This fully-electric vehicle will carry you and up to four other passengers with incredible comfort. The compact SUV design allows you to navigate tight roadways with ease while still offering plenty of room for cargo and people. Enjoy aggressive acceleration, thanks to the dual electric motors that power your drive. A 95 kWh battery ensures long-range capability, and with only 30 minutes to an 80-percent charge, you can easily fuel up on the go. Audi's signature MMI® Touch system gives you effortless control over navigation, phone, and entertainment settings. You can also simplify your experience with remote functions through the available Audi mobile app. 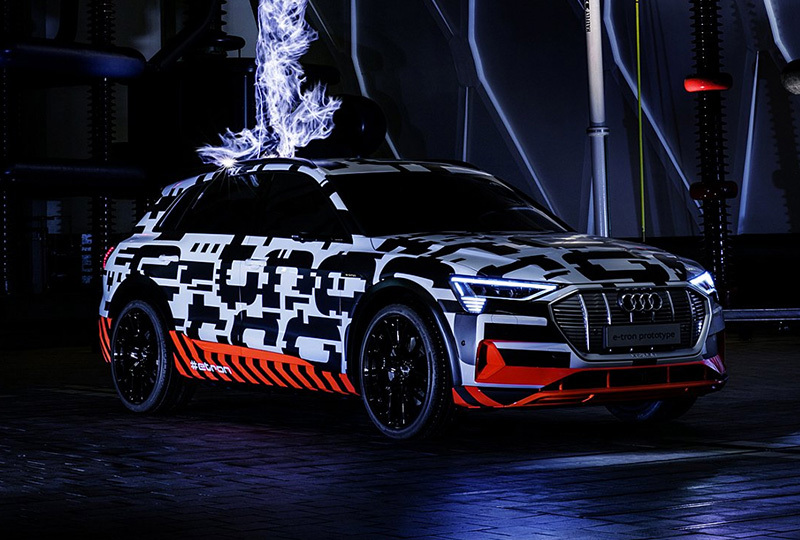 Explore the 2019 Audi e-tron® in more depth, and schedule a pre-order today to reserve your model.